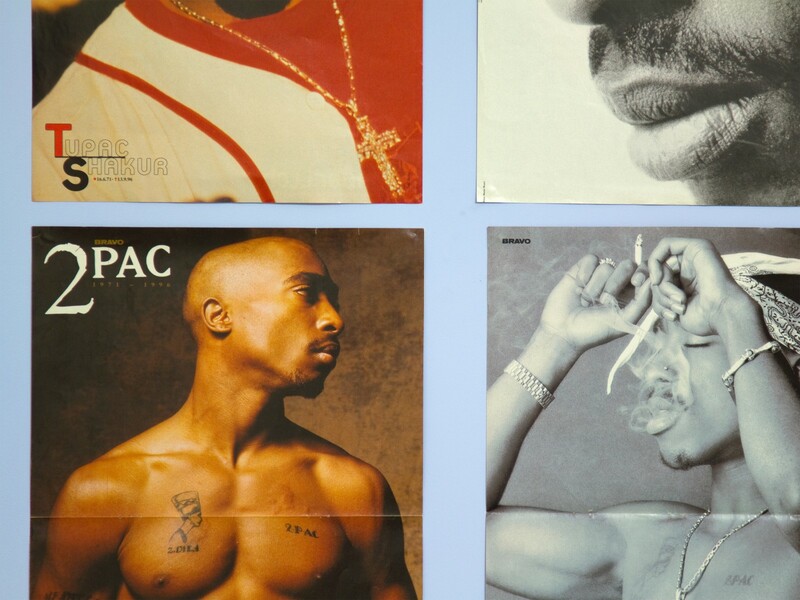 »St. 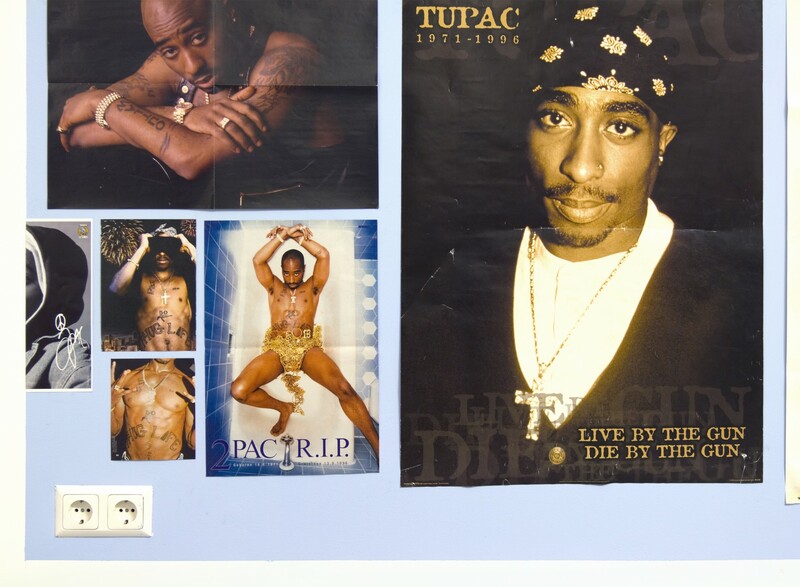 Sebastian« is an extracted wall filled with idol posters of the iconic rapper Tupac “2pac” Shakur, taken from various German music- and teenage magazines. 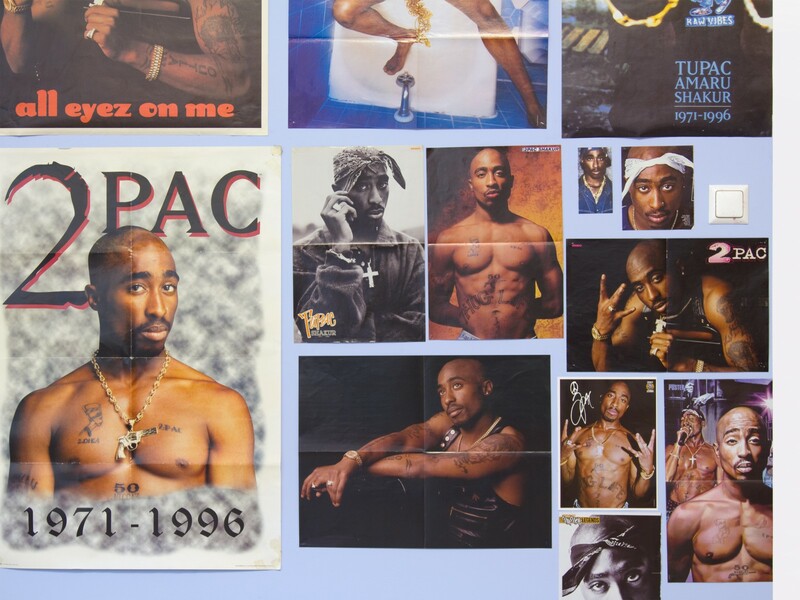 The legendary rap star was fatally shot in Las Vegas on the 7th of September 1996. The title derives from the Christian saint St. Sebastian (died c. 288) that was martyred in Rome, when he according to the legend was tied by a tree and shot by hundreds of arrows. Saint Sebastian has been a popular motif in the history of Christian art, and is generally depicted as a beautiful naked youth, pene- trated by numbers of arrows. Idol, from Latin idolum (image, form), is originally an image or representation of a god used as an object of worship. Hoflund’s work »St. 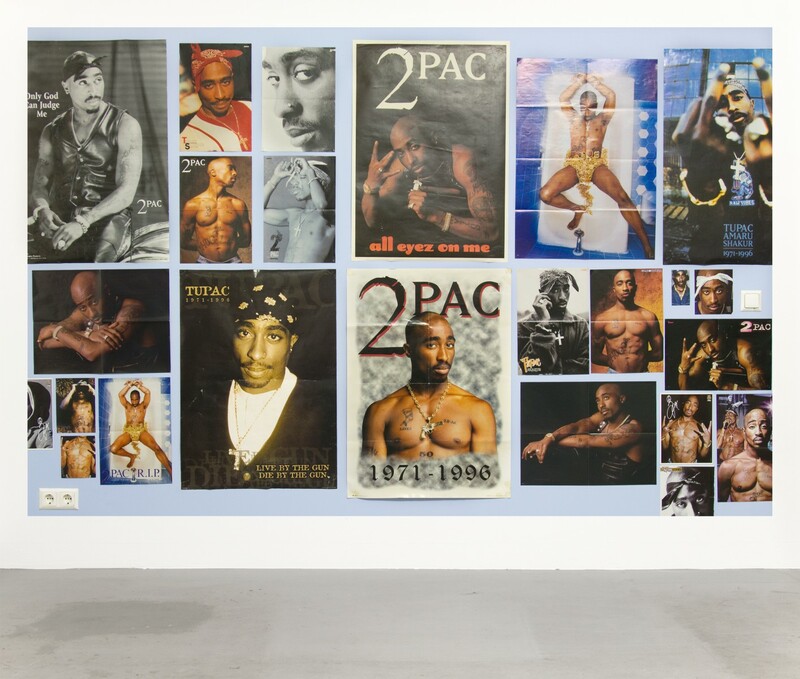 Sebastian« combines these different idolatries by juxtaposing the icons of 2pac together with the religious imagery of St. Sebastian.